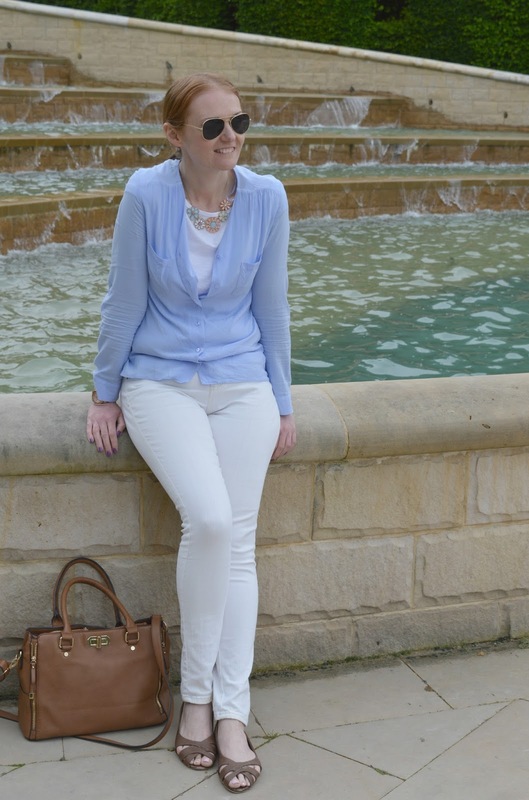 Day one of Staycation we decided to adventure an hour north to Alnwick Garden. 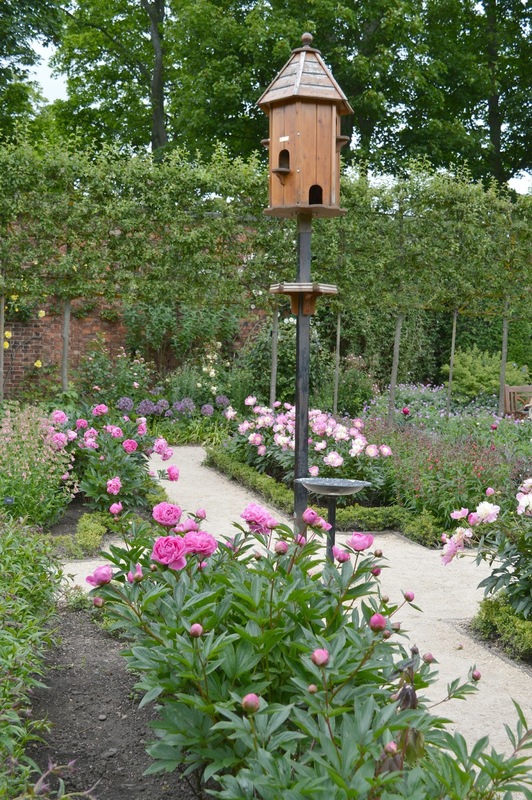 Simon and I have never visited gardens together so it was something very new for us. Although I'm not an expert in plants, my Grandad was a keen gardener so I visited a fair few gardens as a child and a flowerbed full of roses will always remind me of him. Unfortunately he died when I was pretty young but I love that seeing a beautiful garden can instantly dig up memories of him that I'd forgotten. 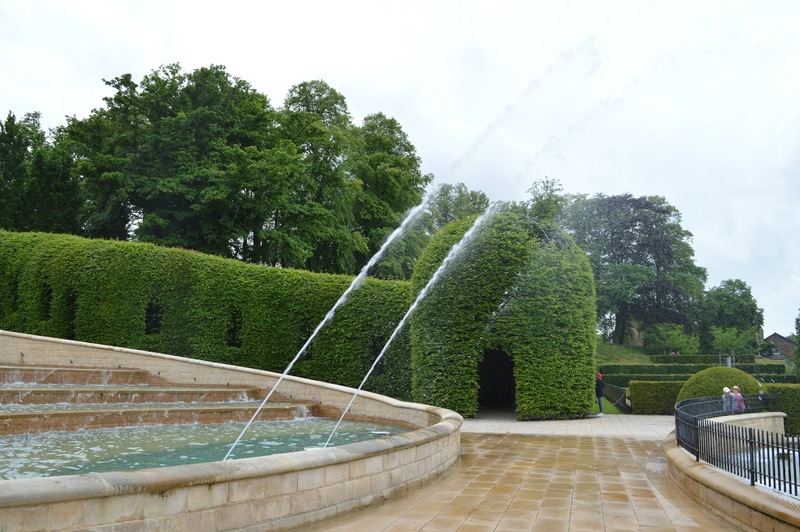 The wow factor certainly hits you the moment you step into Alnwick Garden with a fantastic view of the "Grand Cascade", a really impressive water feature that's quite some centrepiece! The Grand Cascade has four different water displays that take place at random every half an hour, much to the delight of the visiting children who spend ages running away from the water that shoots high into the air looking for someone to soak. We were a little tempted to join in the fun but the fear of frizzy hair was enough to keep me watching from the side lines. Behind the Grand Cascade we found a little collection of gardens to explore, the Ornamental Gardens with its lovely fountains and benches to relax on and my personal favourite the Rose Gardens. 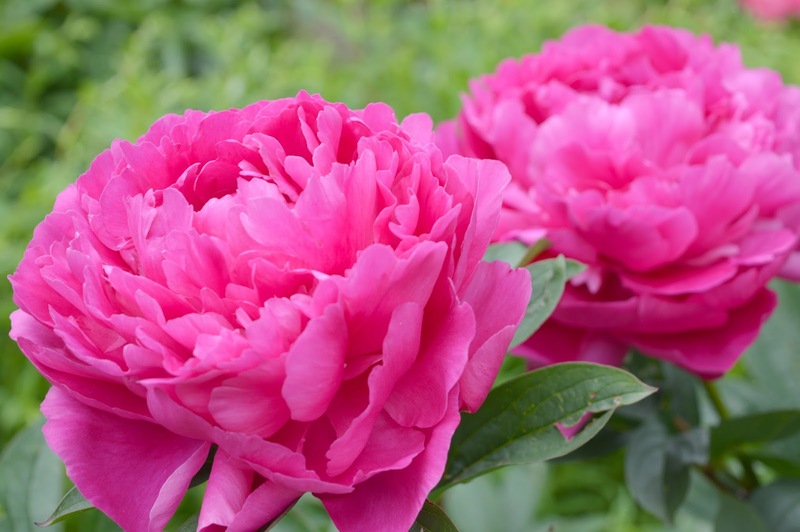 The Gardens are beautiful and we spent an enjoyable morning strolling amongst the colourful flowers and having a good smell of their gorgeous fragrances. My Grandad certainly would have been in his element amongst all of the roses and thinking of him as we ambled around really made me smile. After an hour of exploring our tummies were telling us it was lunch time so we decided to go on the hunt for food. There are a few places at Alnwick Garden that you can get lunch. The Pavilion Café with its wonderful views of the Grand Cascade was pretty tempting as was Dishy Fishy Chip Shop but really there was only one place we wanted to go. 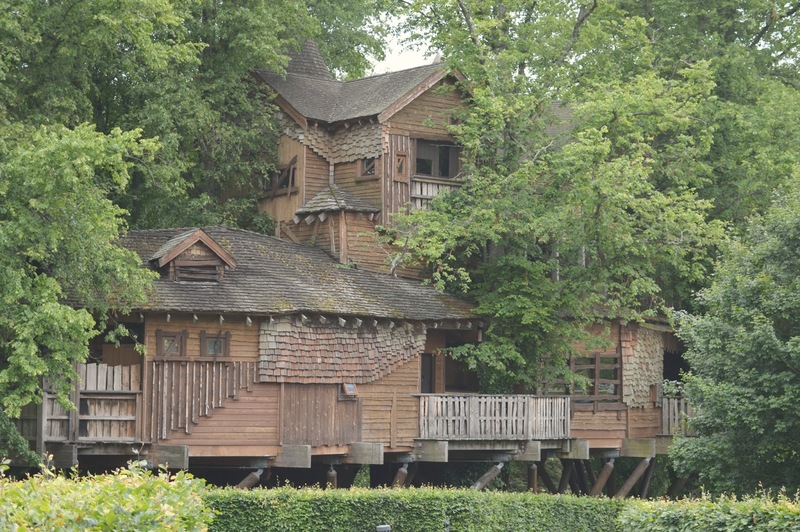 The famous Alnwick Garden Treehouse, somewhere we've been wanting to go for a rather long time! 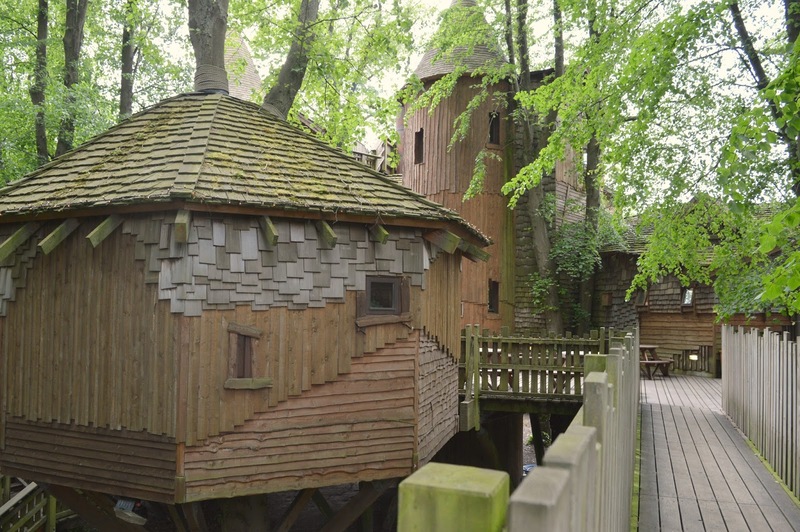 The Tree House sits just outside the gardens which means you can visit without going into Alnwick Gardens. The Restaurant has earned itself a reputation of serving delicious food. There's something rather romantic about strolling around on the wooden decking of the Treehouse, even in the day time the fairy lights are on and I can only imagine how pretty it must look at night. If you are a bit of a "Don't Tell The Bride" geek like me you may recognise the Treehouse from this episode. Fancying something a little lighter for lunch we decided to head to the cosy Potting Shed next door to the Restaurant. Plonking ourselves down on some little log seats we ordered ourselves hot sausage sandwiches and cups of tea. 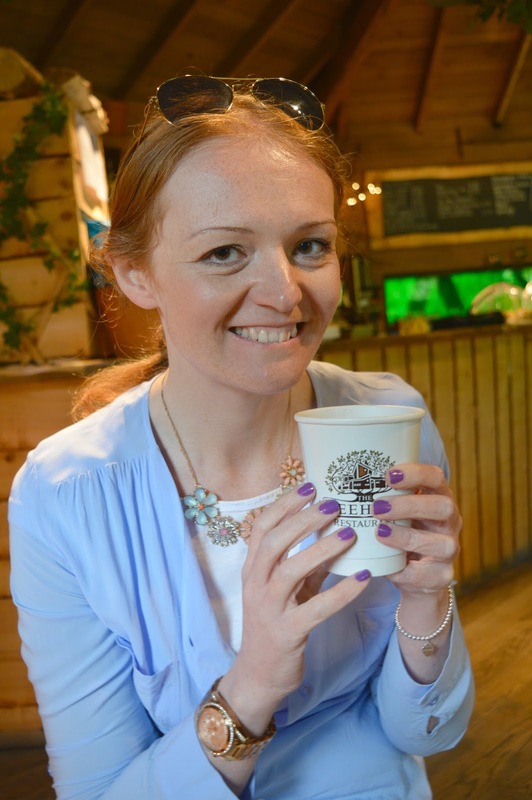 The little café was the perfect hideaway and it definitely made me realise why my Dad spends so many hours hiding in his shed at home! No visit to the Treehouse would be complete without a play on the rope bridges, we may be in our 30s but we are huge kids at heart and we lost a good hour swinging about high above the trees. Quite often the best fun in life is playing about on something that doesn't cost a penny! After lunch we headed back to the Garden to take a look at the Cherry Orchard, the orchard has the largest amount of Tai Haku cherry trees in the UK. Unfortunately we visited at the wrong season to get the most out of the display so we really need to head back again to see it in all its glory. 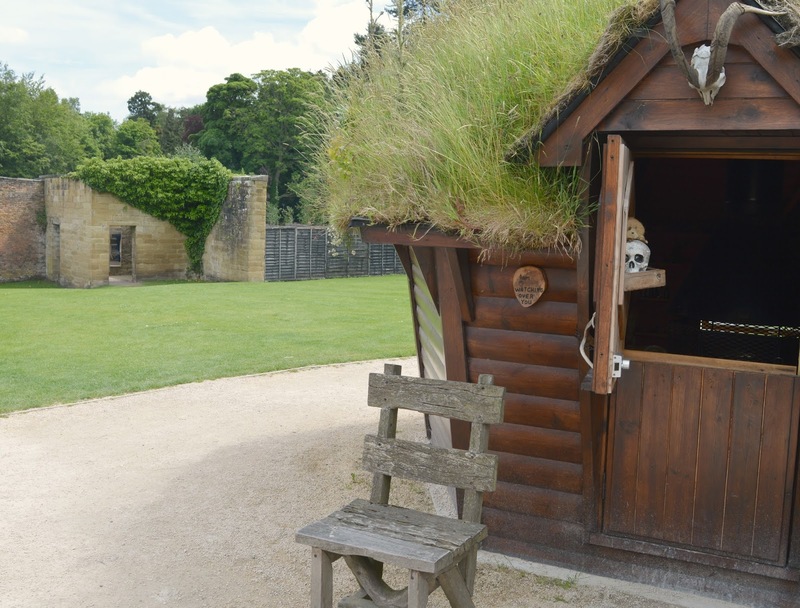 With the Garden done we had one place left to visit, the Poison Garden which had certainly grabbed our attention with it's locked black gates decorated with spiders and skulls. We turned up just in time for the next tour and happily followed our guide into the Garden to learn more about the deadly plants that lay beyond the gate. 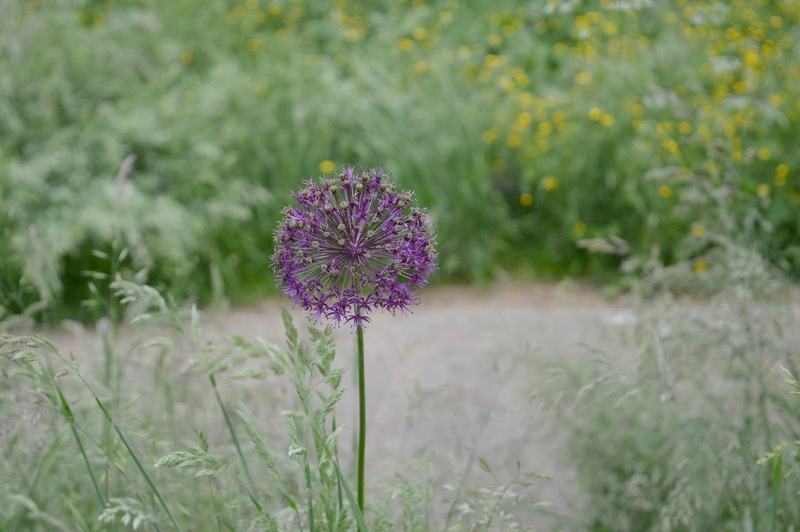 The Poison Garden features a wide variety of dangerous and deadly plants and some were surprisingly familiar - nettles, rhubarb and poppies. Who knew such common plants could be so dangerous! 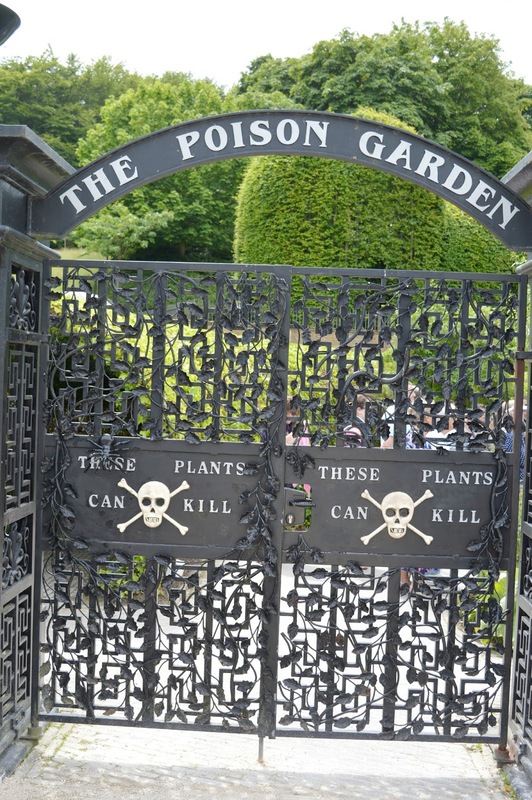 Some of the plants are so dangerous that Alnwick Garden have a Licence to be able to keep them and they are kept in cages - scary stuff! Our guide shared tales of gruesome deaths and we all listened in awe. I will certainly be careful about what plants I touch in the future and I'll think twice about annoying Simon whilst he's cooking dinner now he knows all about cooking up poisoned dishes. 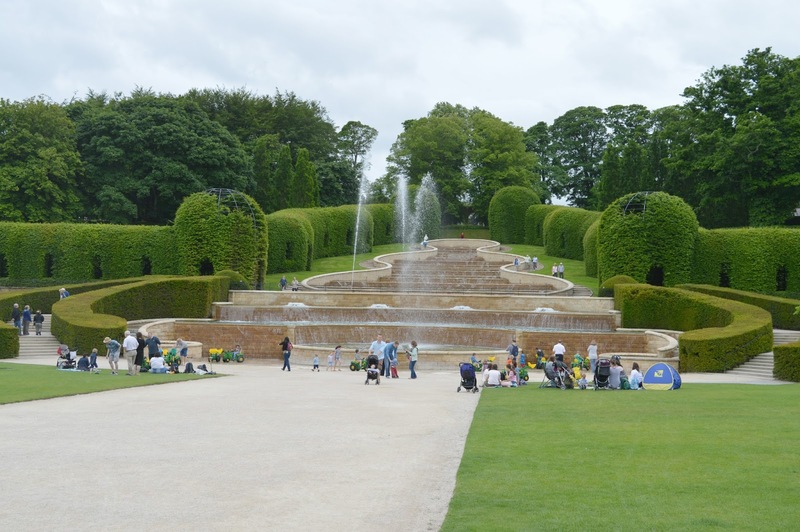 Alnwick Gardens were a little smaller than we imagined and after a couple of hours happily wandering we still had plenty of the day left to explore the rest of Alnwick. We wandered the streets of the pretty market town and popped into the newly refurbished The Plough for a drink before heading to Barter Books for a little hunt round the shelves. Day One of Staycation was over too fast but we were excited to see what the next day would bring. The tree houses are amazing, I would love to plan there :)) The poison garden must be very interesting too. It looks like you had a great day out. Walking around gardens like this reminds me of my grandparents too and long bus rides our during the schools summer holidays! Plus that treehouse cafe looks incredible, on our second date me and the boyf got really over excited about the cafe in the trees at the whitworth gallery which turned out to just be a cafe that had a lot of glass walls. 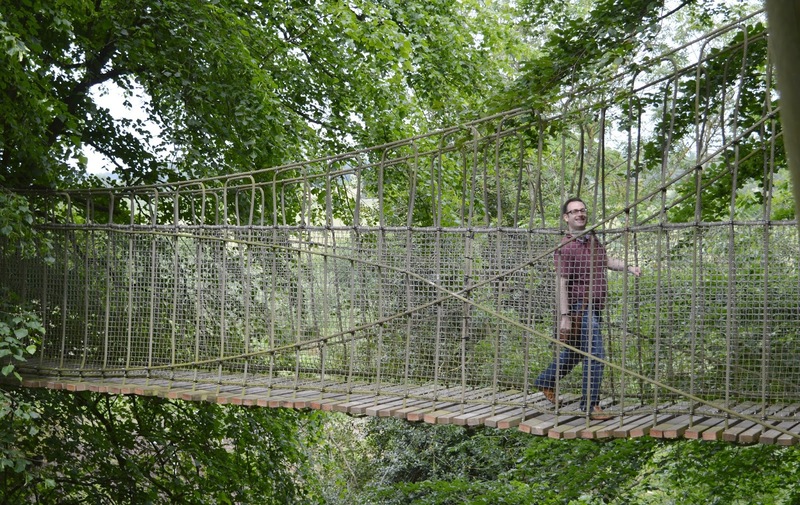 We had definitely imagined rope bridges and fairy lights! Looking forward to hearing more about your staycation! This looks so beautiful - the bridge looks a bit scary though. This looks amazing. So magical. Looks like a beautiful day out, the treehouse is amazing!